 Please support ScreenMania and contribute screenshots ! Please ASK, before you start to send anything ! I don't wanna have an overcrowded email account all the time. I am very interested in pictures of games I've already uploaded as long as they show something unique, spectacular from the game. If you use MAME to make Arcade screenshots I urge you to remap the pause and the screenshot functions to a button of your joystick or joypad. I have both functions mapped to the left and right shoulder buttons of my beloved Sidewinder joypad. With this configuration it's much easier to take interesting screenshots. Oh in case you doesn't know it - using the "Pause" button in MAME has no negative effect in any way, your screenshots won't be "altered or "damaged" with the word "pause" word ! I am really interested in any system as long as it's properly emulated - but I would prefer Arcade screenshots at the moment (if I have the choice). Arcade and SNES seems to be the most supported "emulation fields" right now so they are my prefered targets. But I would be also glad to get Genesis, NES, Amiga and C-64 game shots. But I will only put up screenshots with the original system resolution. No "overscan" areas, doubled pixels or scanlines are acceptable ! I know this means a lot of work - if you disagree with me ... no problem, no-one "forces" you to take part ! Later on this site might even feature Apple and Spectrum computers .... time will tell. Adopt a missing SNES RPG of your choice and send me pictures of the flow of the gameplay - I will accept any number between 20 (rpg's should have more than that) and up to 200 for Final Fantasy 3. Chrono Trigger is already WIP by myself :) SNES gems like Mario World or Castlevania IV are 100+ screenshots worth too. You can also send me pictures of already posted games if you want. Adopting yourself to my screenshot naming system, would be very helpful. If you really want to help me and ScreenMania - talk to me first so we both avoid unneeded work and trouble.